Germany will probably take center stage in this FIFA World Cup's Group G, unless Portugal and Cristiano Ronaldo manage to surprise the "Mannschaft" right in their debut game scheduled for June 16. 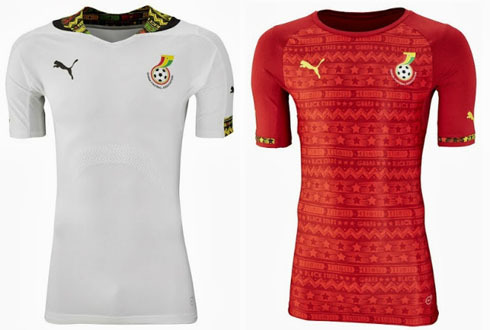 The other two teams in this group, USA and Ghana, are also expected to have a say on the fate of this first round stage, but as long as the European teams play at their best level, there shouldn't be much to accomplish for neither the Americans nor the Africans. Finishing the group in first place might be very important coming into the next round, since it will probably allow the winner to avoid facing Belgium in the last-16 knockout stages and instead get drawn with a second-tier team. 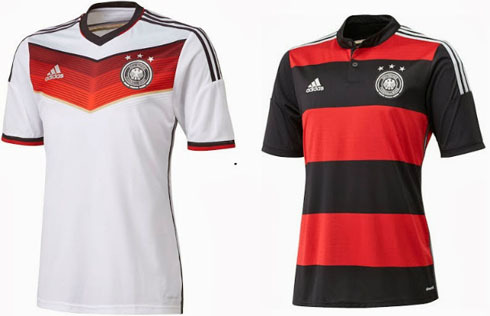 Our picks for the teams to advance here will naturally fall on Germany and Portugal. The German machine might not be oiled to perfection just yet, but even that being the case, they still come to Brazil deemed as one of the biggest favorites to win the 2014 FIFA World Cup. Holding an impressive record of 17th past apperances in these final stages of such a big tournament and having already won 3 World Cup titles in the past (1954, 1975, 1990), turns this German squad into one of the most feared teams in Brazil during the summer. Germany are currently ranked #2 in the FIFA World Rankings, only behind the table leaders and reigning World champions Spain. In the odds market, the "Mannschaft" were given a payoff factor of 7, which is still a very interesting reward for those who firmly believe that Joachim Low's men have what it takes to go all the way in this World Cup. The German National Team had what we can call a quite easy ride during their qualifiers for Brazil and out of the 10 matches they've played, they've only dropped points in one. They tied 4-4 against Sweden in October of 2012, on a night where they gave away a 4-goals lead in the last 30 minutes of the game. They're now getting to Brazil a bit weakened, following the lost to injury of one of their key players (Marco Reus from Borussia Dortmund). Nevertheless and with players like Mesut Ozil, Mario Goetze and Bastian Schweinsteiger in their ranks, they are surely strong enough to create problems to any opposition they want. Germany XI: Neuer; Boateng, Mertesacker, Hummels, Lahm; Schweinsteiger, Khedira, Kroos, Ozil; Mueller, Klose. 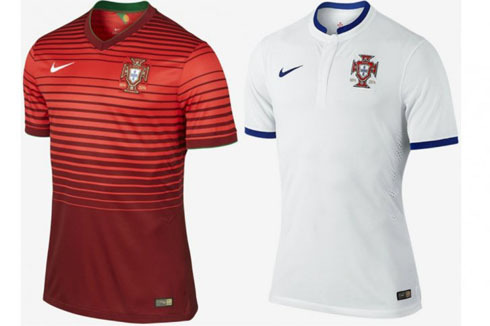 The Portuguese Team may have never won a World Cup in the past, but if they are to accomplish such feat in a foreseeable future, it would probably have to happen this year. With Cristiano Ronaldo in their ranks, nothing less than the best football player in the World, the "Selecção" chances to shine in this tournament immediately go up. He's 29 years old and let's face it, he's not becoming any younger. Following the last update recently made on the FIFA World Rankings table, Portugal is deemed as the 4th strongest national team in the World. Bookies think otherwise though, since the odds for Paulo Bento's men to succeed and become World champions next July 13 are set on a 29 payoff factor (which results on them being the 9th biggest favorite to win the tournament). They'll first have to come out of a group where Germany, USA and Ghana all share the same legitimate aspirations, but with Cristiano Ronaldo appearently recovered from his injury and fit to the World Cup, the Portuguese Team have all in their hands to advance into the next stage of the tournament. Portugal XI: Rui Patrício; Fábio Coentrão, Pepe, Bruno Alves, João Pereira; William Carvalho, João Moutinho, Raúl Meireles; Nani, Cristiano Ronaldo, Hugo Almeida. The United States arrive to Brazil after finishing first in the CONCACAF qualifiers and even though this sport is still going unnoticed to a good part of this nation's population, these players will be dreaming with at least repeating the 3rd place achieved in the very distant World Cup of 1930. They haven't missed a World Cup since 1990 and this year in Brazil they'll complete their 10th appearance in these final stages of the tournament. They come to the "land of football" ranked in 13th place at the FIFA World Rankings standings and an unlikely victory on July 13 is paying investors 226 times more their initial bet. 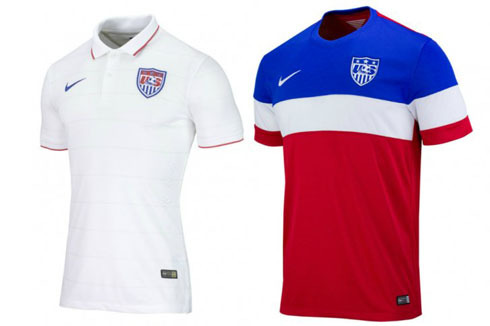 Whether you call it soccer or football, the USA have gone a long way since they hosted the World Cup back in 1994. They're now behind a solid long-term project to keep developing the sport in the United States and spearheading this challenge is a former German legendary player, Jurgen Klinsmann. This squad doesn't bring many big names to Brazil, but the likes of Tim Howard (Everton), Altidore (Sunderland) and Dempsey (Seattle Sounders) will most likely turn out to be their most valuable players in the tournament. 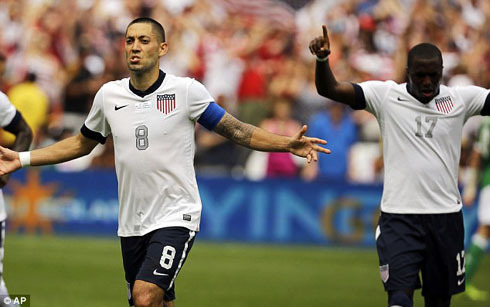 USA XI: Howard; Johnson, Cameron, Besler, Beasley; Jones, Beckerman, Bradley, Bedoya; Dempsey, Altidore. If we stick with our previous claim that Ivory Coast is in fact the strongest African team these days, then Ghana probably deserves to be rated as the second strongest African side coming to this World Cup in Brazil. This will be only their 3rd appearance in these WC stages, but their inexperience at this level must somehow be compensated with the intensity and passion that they put into every game. They show up ranked as 37th in the FIFA World Rankings table, with bookmakers' odds also suggesting that they won't stand many chances of succeeding in Brazil, as they've been giving a payoff factor of 251 (the same as Nigeria). If they are reallly taking serious going forward in this World Cup edition, this Nigerian Team will have to build their momentum in crucial moments from the games against the USA and Portugal, as well as rely on their most veteran and experienced players as Essien, Asamoah and Boateng. 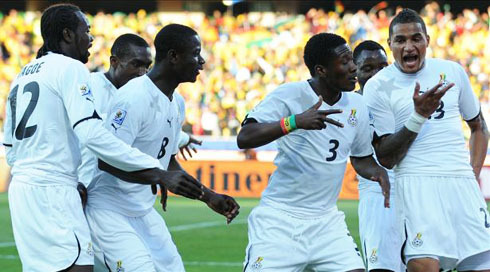 Ghana XI: Dauda; Afful, Boye, Mensah, Rabiu; Essien, Kwadwo Asamoah, Muntari; Ayew, Asamoah Gyan, Boateng. Cristiano Ronaldo's next game will be his debut in the World Cup, in a match between Portugal and Germany, scheduled for June 16 of 2014, in Salvador (Brazil). You can watch Juventus live stream, Germany vs Portugal live stream, Spain vs Netherlands streaming, Brazil vs Croatia live, and Chile vs Australia, all matches provided from our World Cup streaming pages.